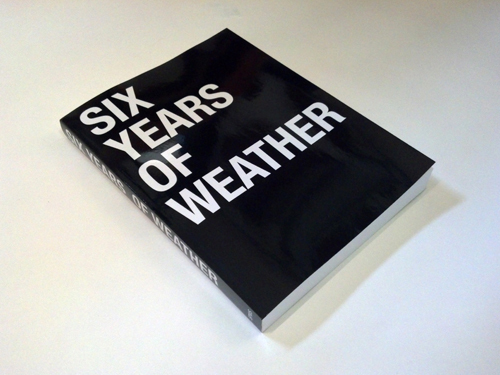 In conjunction with the exhibition Featured Artist Project: SP Weather Reports (2008-2013) on view from January 17–March 29, we are pleased to announce the publication of Six Years of Weather, which compiles tables of all weather data recorded at the SPWS station base in Long Island City since the project began. See you at the Center for Book Arts! Opening January 17th 6-8 pm. This entry was posted in Artists & Weather, Events, Our Station(s), SP Weather Reports. Bookmark the permalink.